PayPal Recruitment 2018 scheduled for the role of Intern for Engineering graduates at Chennai Office. The detailed eligibility and application process are given in below. You’ll work alongside the best and the brightest engineering talent in the industry. We have opportunities in a wide range of areas including development, search, platform, test, quality, big data, front end, and back end. As a core participant of your team, you’ll estimate engineering efforts, prioritize projects, plan implementations, and triage production issues. You need to be dynamic, collaborative, and curious as we build new experiences, improve existing products, and develop distributed systems powering the world’s largest e-commerce and payments websites at a scale few companies can match. 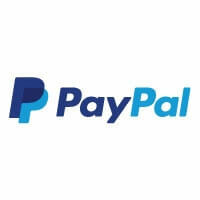 How to apply for PayPal Recruitment 2018?